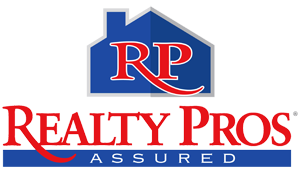 Welcome to the top Daytona Beach Realtor web site servicing Port Orange, Ormond Beach, Palm Coast, New Smyrna Beach, Edgewater and other areas including the greater Volusia County, FL areas. That which is difficult I do immediately. The impossible takes a little longer. Miracles by appointment only. This is what you will find working with Victoria Bowie SFR, PA…. Victoria has proudly been a Multi-Million Dollar Producer in Real Estate since 2005 when she first relocated from Maryland to Florida. Her top level experience spans over 30 Years as a Sales Professional with specifically 25+ Years of Negotiation Experience; a Graduate of Karrass Negotiating Courses that has been perfected as a successful Volusia County Realtor®. During her prior professional career for Phillip Morris/Kraft Foods she spent 7 Years in Contract Management negotiating with corporate offices of Marriott, Sodexho, Compass Group and Delaware North Companies managing over $13 Million for the Chinet Company nationally. In her 14+ years of Real Estate her sales numbers reflect as a top performer and the "above and beyond" performance attitude for her customers reflect in her testimonials. Victoria holds the SFR designation as a Short Sales and Foreclosure Resource helping families thru the difficult past market downturn. Victoria's service commitment is built on proven professionalism with integrity, follow thru, and warm, friendly service that will continue long after the business transaction is complete. She wants to be your chosen REALTOR® for life! !